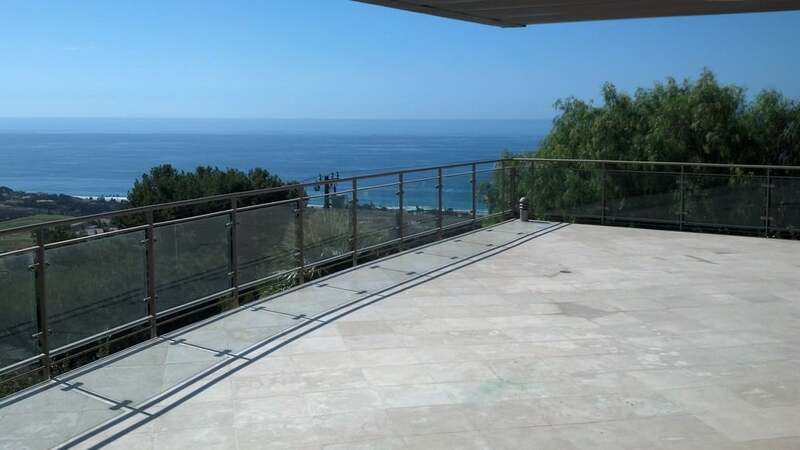 Professional Stone and Marble Restoration in Los Angeles and surrounding counties. Do your Stone or Marble floors not amaze anymore? Do they not shine like the day they were installed? We can polish your stone using the appropriate diamonds or polishing powders to get it to a high shine or honed finish. Stone cleaning is essential. 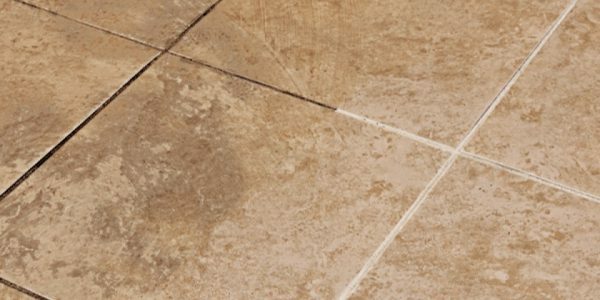 After years of wear and tear, marble and stone flooring needs to be effectively cleaned to rid it of unattractive blotches and stains. Stone sealing is the application of a surface treatment to products constructed of natural stone to retard staining and corrosion. Grinding is usually the first step in any refinishing or restoration job. It’s also the most powerful and dynamic step, also known as lippage removal or flattening. 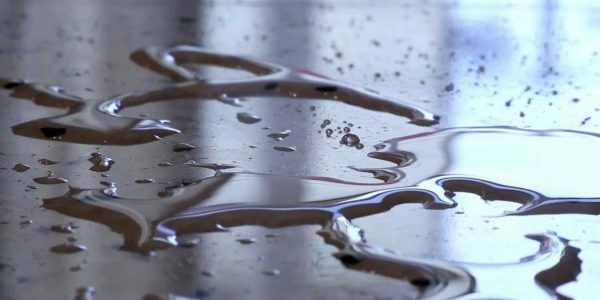 Honing is the step of floor restoration provides smoothing the marble floor with industrial diamonds, which brings up more shine to the marble. Old and abused grout creates for an unsightly and dirty appearance of your flooring, and dirty grout can't just be cleaned with a wet mop! Halajian Marble Restoration is a family-run business. You will be serviced from the owners themselves, giving you the confidence that you will receive quality work. We have a long list of customers, from banks to celebrities, who were satisfied with our Stone & Marble Restoration services. Check out our Yelp reviews below! 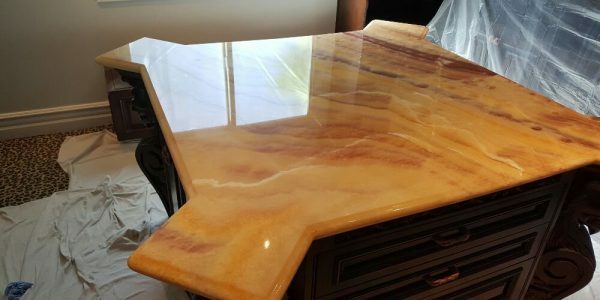 With 20 years of experience in the trade of Marble Restoration, Halajian Marble Restoration provides professional work at an affordable price. Instead of paying big company fees, you will receive affordable pricing from a family-run business. Outstanding work! Did not expect my travertine floor to look new again after 9 years of abuse in the kitchen. Harvey was great from the beginning on time, answered all my questions, explained everything and a fair price. Thanks again Harvey and Crew! Our travertine floor on the first floor of the house and in our upstairs master bedroom really lacked luster and had a number of pits that developed over time. We were faced with either replacing all the tile or doing something else to bring it back to life again. I had a few quotes that I had gotten to hone and polish the floors versus tile replacement. We decided to go with Harvey and Henry to do the work, based upon their knowledge, experience and price. We had a sample of what the floor would look like with a matte/satin finish and decided to go with that. We had the work done while we were away on vacation. Harvey sent us some pictures and it looked great. When we got home we (i.e. my wife) was disappointed that the floors didn't shine as much as she would have liked. 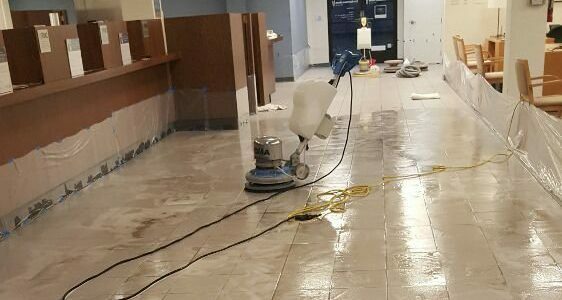 Harvey and Henry were over the next day and resurfaced the entire floor with acid polishing that really made them look like marble. It was at extra cost, but that was to be expected because we changed our minds on the finish we wanted. It took them 2.5 days and the floors look amazing. The wife's happy and that's what counts. They also filled all the pits with epoxy and caulked the baseboards. Best decision we could have made going with this family business! I would highly recommend them!! We received two quotes to refurbish our kitchen tiles. Halajian was the more expensive, but we went with them as they said they would epoxy and hide a few chunks of tile that were missing as well. The other provider said they couldn't do anything about the missing fragments. We are definitely happy we went with Halajian in the end. The kitchen floor looks like it is brand new (actually better than brand new as the grout sealer now matches the tile color) but also they were able to repair the missing chunks so that you practically cannot see where they were. I also think their quote was actually extremely good value as they had 3 guys working on the floor for an entire day. You could see that the refurbishment was a very labor intensive process, but Halajian kept going over places until everything was perfect. I feel you can really trust Halajian to do the best job possible and it is really worth getting them. I have Carrera marble everywhere in the kitchen and all the bathrooms that were due for serious polishing. Harvey and his team worked their magic and brought all the countertops to their glory once again. They even came on a holiday to finish and I appreciated their dedication on delivering a high quality job rather than rushing to get out early. I was so happy with their work that I asked them to do more work at another property. I would use them for any future jobs. Nicest guys. Great work. Easily a company you keep for life. Emailed the quote. Scheduled the date. Showed up on time and spent an entire day handling my kitchen, and both bathrooms. The kitchen too the longest and was the most work but the floors literally gleamed and I wanted to eat from them. Excellent service! 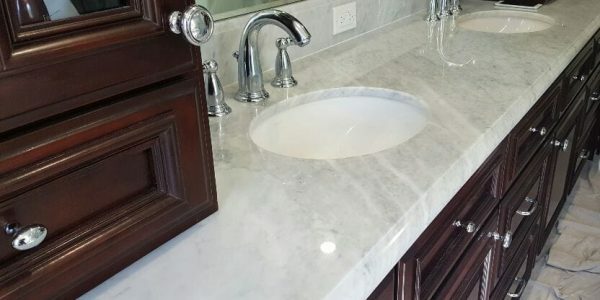 I contacted Halajian Marble Restoration because my bathroom Black Marble countertop had water stains, scratches and damage, done with vinegar cleaning by accident. Harvey was very professional, came right on time to our set-up appointment. Gave me a fair estimate and worked almost 3 hours to restore my countertop. He did an absolutely wonderful job, no more stain, looks like brand new if not better! I highly recommend Halajian Marble Restoration! Great service and great work. Very trustworthy and they stand behind their work. I asked this co to do all my floors and when complete we left some pumpkins on the marble and the acid from the fruit stained the marble. I called he even and came re did the work for free. I highly recommend Halajian for all ur stone needs. Great team and great service. After our bathroom remodel one of the workers had scratched our brand new carrera marble countertop. I reached out to HMR and spoke with Harvey, he came by our place after about an hour and a half left it just as new. This guys know what they are doing, I would highly recommend and they are competitively priced. I found Halajian Marble Restoration on Yelp!!! After meeting Harvey and getting an estimate. 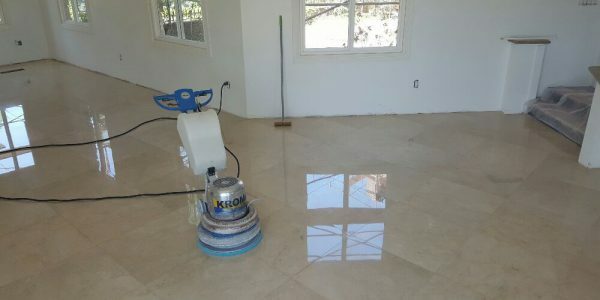 We decided to trust him with the task of restoring and filling in the hairline cracks that had developed on our Travertine tiles, as well as a heavily pocked and scratched black marble/limestone bathroom floors. A week later, Harvey and his assistant, Vahik, set to work on our project. They were very professional, clean, neat and quiet. They taped and put plastic throughout the work area. They worked very hard and consistently and finished our project in 4 days. We are very happy with the results. Thank you!!! I contacted Halajian Marble Restoration a month ago to help me restore my white marble floors as they had become stained and dull after years of exposure to pets and children. They were quick yet thorough and very professional. I am more than satisfied with the job they performed. My floors look brand new and I have been receiving endless compliments from guests. I would absolutely recommend Halajian Marble Restoration and I am extremely thankful for the job they performed. I found Halajian Marble Restoration from Yelp and I couldn't be happier! Not only they offered a very reasonable price that beat almost all other competitors, they also provided the best service! Harvey, the owner, was very patient and detail-oriented! He checked and voluntarily re-polished all areas to the most shinny! Vahik was also doing the best job and very careful in polishing and was on the floor the whole time checking all details. I cannot possibly be happier and am recommending this company to anyone who is interested in stone polishing! Halajian Marble Restoration has 20 years of experience in professional Marble and Stone Restoration. We have a long list of satisfied customers ranging from banks, to celebrities. We are a family-owned business that provides big-company quality.